Caring for delicate skin on the face. With the facial skin hydration set, treat yourself or a friend to a genuine bath of moisture for the face. Discover essential products to moisturise the face on a daily basis. 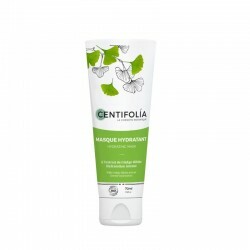 These products, formulated with an organic ginkgo biloba extract, will provide the skin with comfort and well-being. Presented in a lovely gift box, this set is a wonderful gift idea that is sure to please. In the morning, start by applying the toner to your face, eyes and neck in order to prepare your skin for treatment. Then apply the moisturising cream, lightly insisting on dry areas of your face. 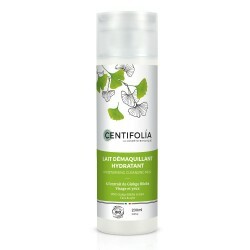 In the evening, cleanse and remove make-up from your skin with the cleansing milk (face and eyes). Then apply the toner with a cotton pad to remove any remaining make-up and leave your skin clear. Apply hydrating Mask a thin layer once or twice a week to clean, dry skin. Leave on for 5 to 10 minutes, then remove excess with a tissue or rinse with water. 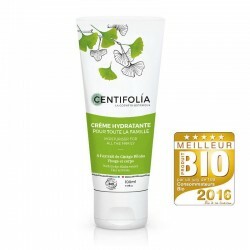 The moisturising cream can be used on both the face and body.